Conviva has released their Industry Data portal, which provides analysts and the general public access to video quality and engagement metrics by quarter, by region, by content type and by device. The Industry Data portal provides access to quality and engagement data for streaming video, which was only previously available to a small group of insiders. 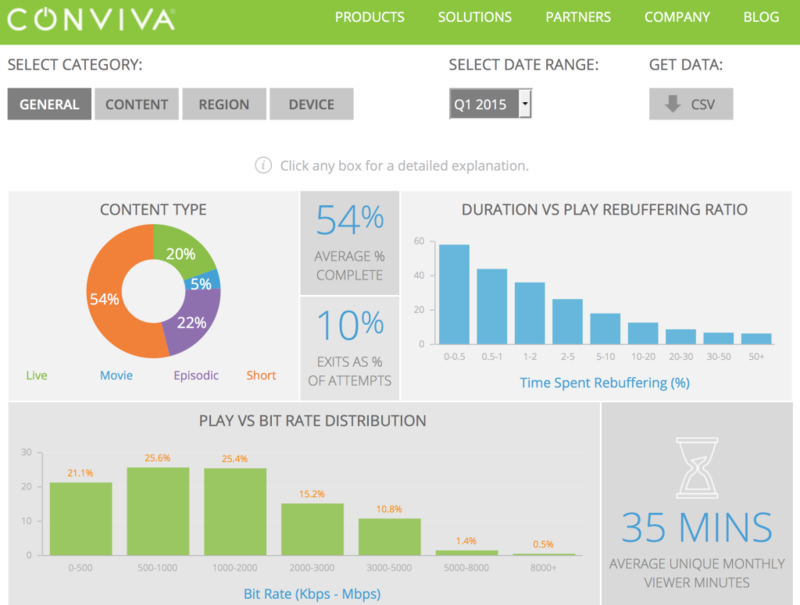 Unlike traditional audience measurement estimates provided by Nielsen or comScore, Conviva’s portal focuses on quality and experience metrics—such as video startup times by region, the average bitrate by device, and the rebuffering ratio by content type—across device categories of desktop, wifi, tablet, and connected TV devices.